Restaurant Pirate Helsinki is located in Southern Helsinki, Lauttasaari. 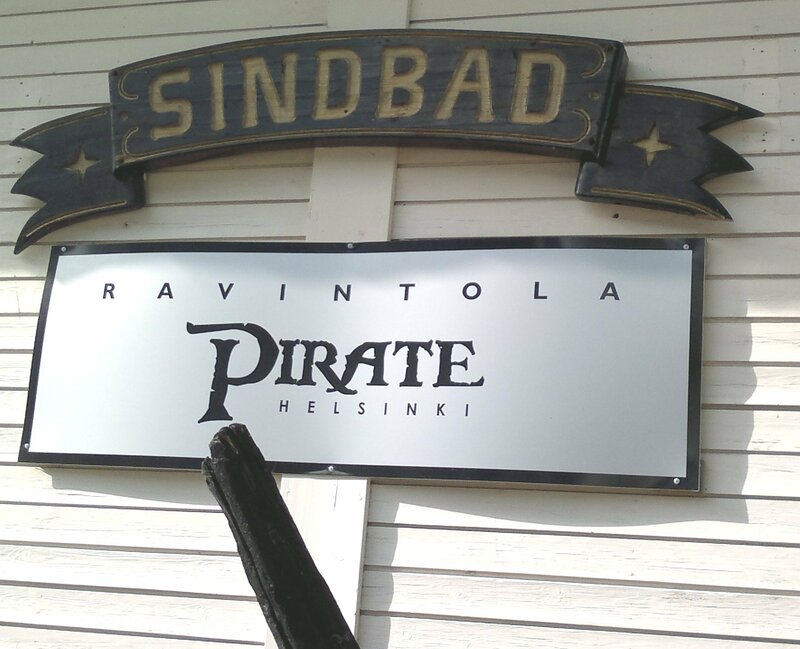 First Pirate restaurant was established in Hanko and it serves also pizzas which Helsinki restaurant does not. You have to order food from the bar because there is no table service. 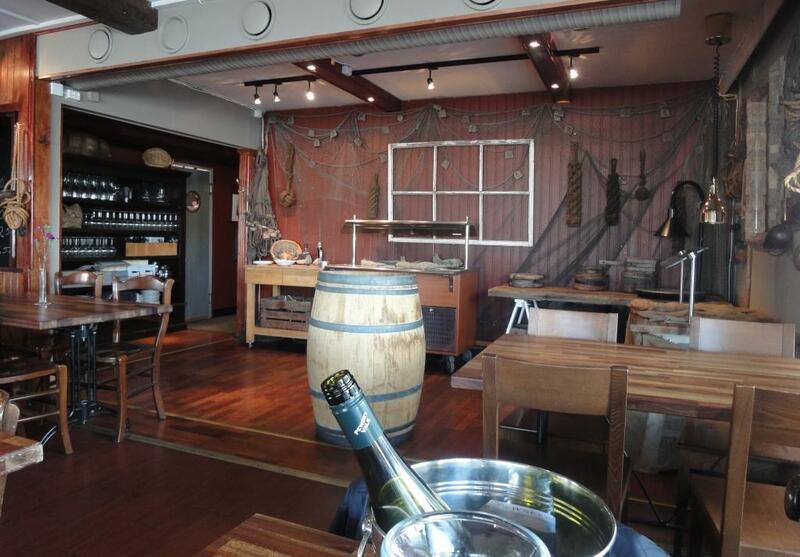 Pirate is a summer restaurant but it is open in December providing ambitious Christmas lunch with famous chefs. Visited Pirate just when it has just opened also for weekends for the summer time. 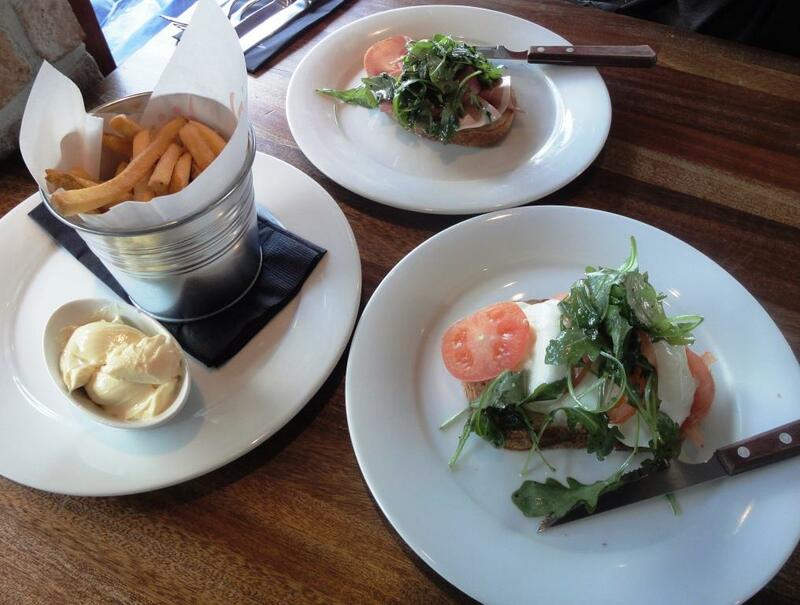 For starters ordered Tomato Mozzarella and Parma Ham Rucola Bruschettas with Country French fries. 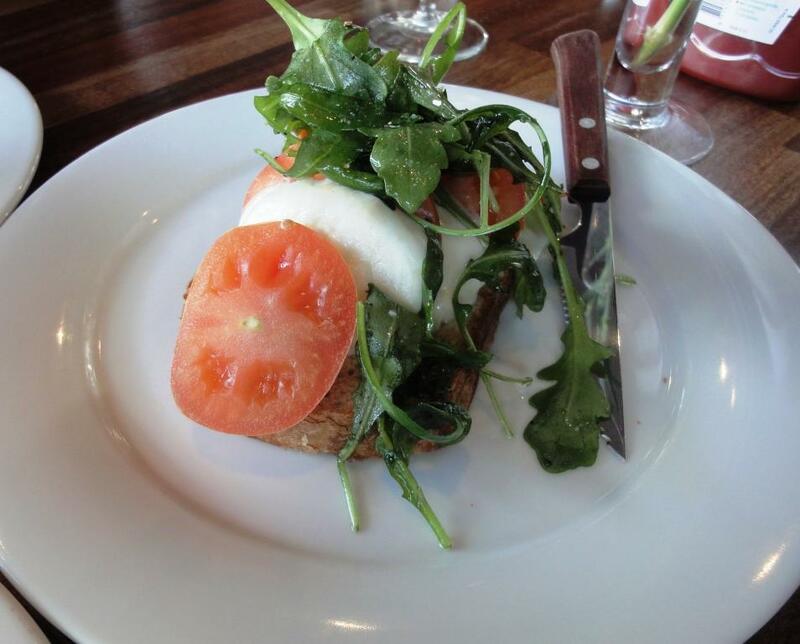 Both bruschettas were nice and french fries really well made. Portion were quite big so they might even be enough for lunch but as we were having early dinner had decided to eat also main courses. 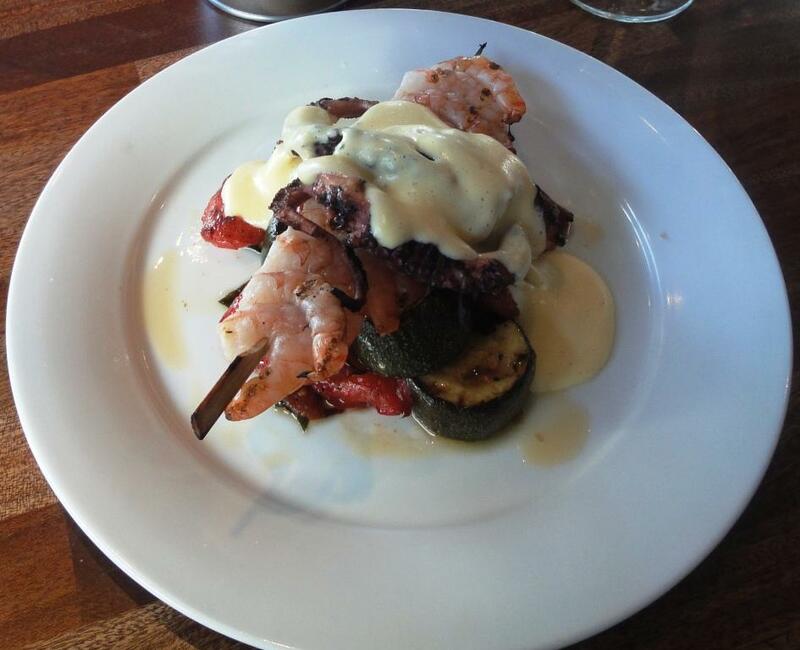 For main courses ordered Grilled king prawns, octopus with french fries, marinated vegetables and hollandaise sauce and Pirate smoked salmon with morel mushroom sauce and warm potato-vegetables salad. Prawns were OK but octopus was chewy; would also have prefered sauce in separate scoop. We had asked that for morel mushroom sauce…. Fish was well prepared as it was not smoked too long. 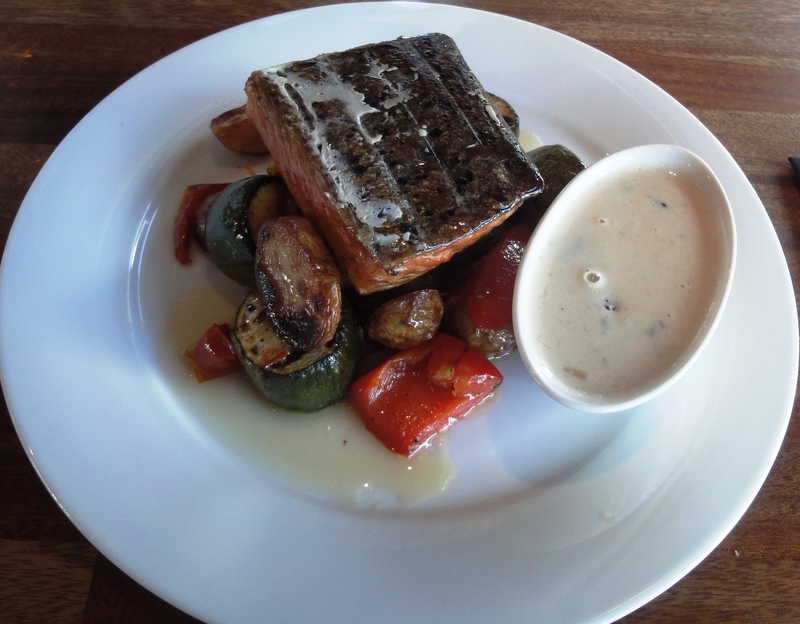 Both portions included same looking side dishes; only difference was potatoes with salmon. Maybe too much oil used in vegetables. Restaurant Pirate is laid-back bistro and especially in the summer terrace is pleasant place to have a beer or two. Because restaurant was just opened we were the only diners at 0530PM. Because spring is so late all boats were still on the ground and surrounded restaurant. 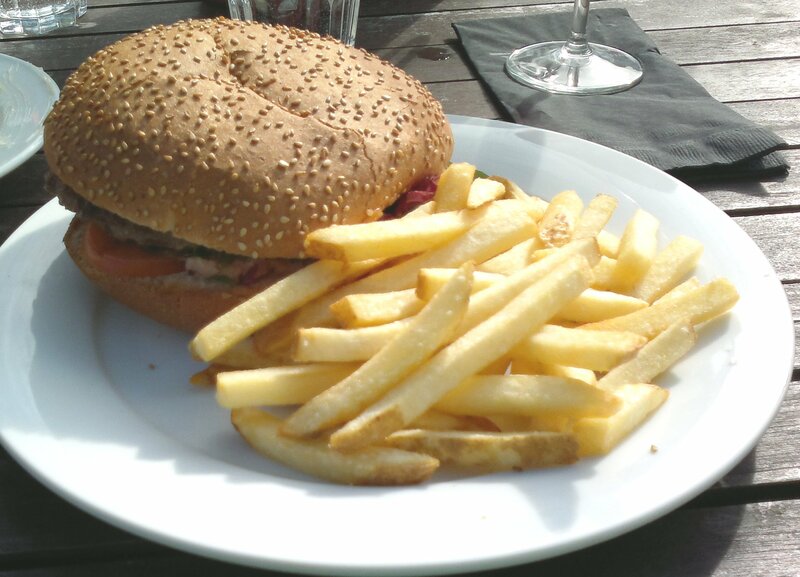 If you visit Hanko some day, try Pirate because it is quite popular in the summer. Restaurant Pirate Helsinki operates in Southern Helsinki. 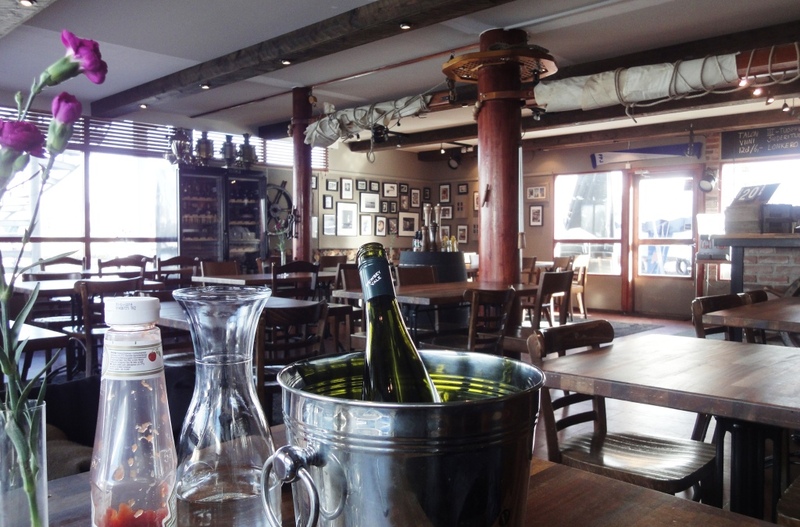 First Pirate restaurant was established in Hanko and it serves also pizzas. Helsinki restaurant tries to be more sophisticated as it is part of Sinbad boat club. You have to order food from the bar because there is no table service. 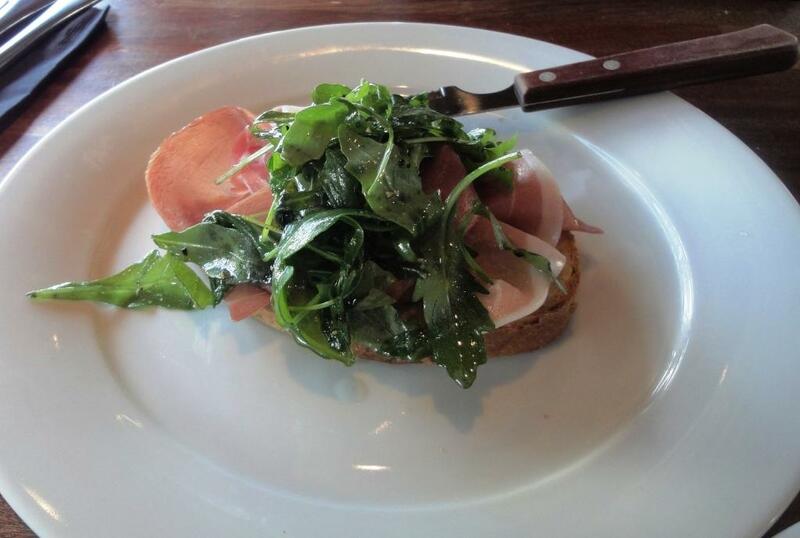 Therefore restaurant is also more affordable than some others. Pirate is a summer restaurant but it is open in December providing ambitious Christmas lunch with famous chefs like Hans Välimäki. 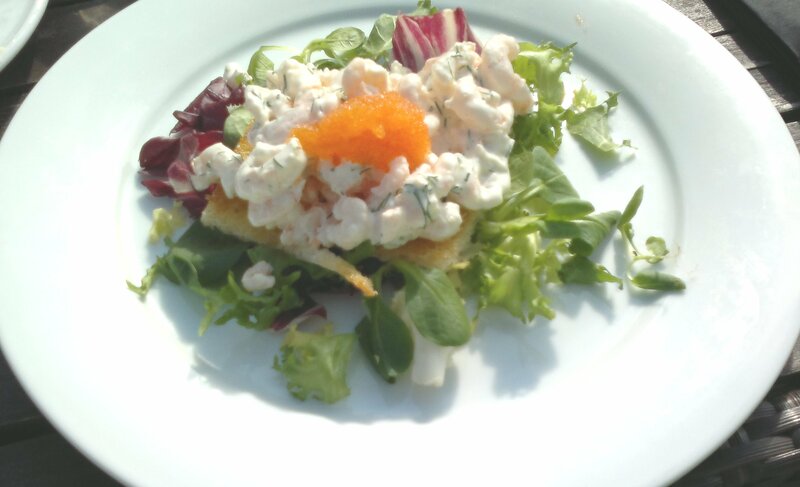 For starters ordered Prawns roasted with garlic and lime-aioli and Toast Skagen with roe. 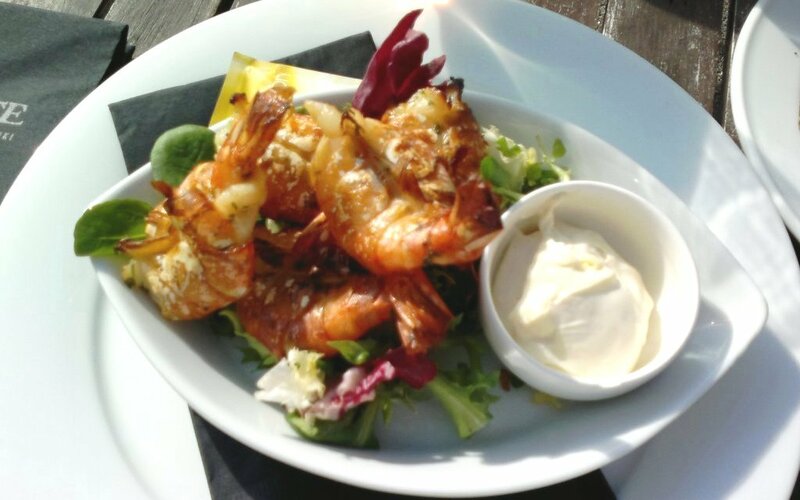 Prawns were excellent, roasted perfectly and almost sweet. Roe was whitefish roe which is much better than rainbow trout roe which you might get, if type of roe is not mentioned in the menu. In overall, starters were best part of the dinner and close to fine dining although Pirate is quite rough boat club restaurant. 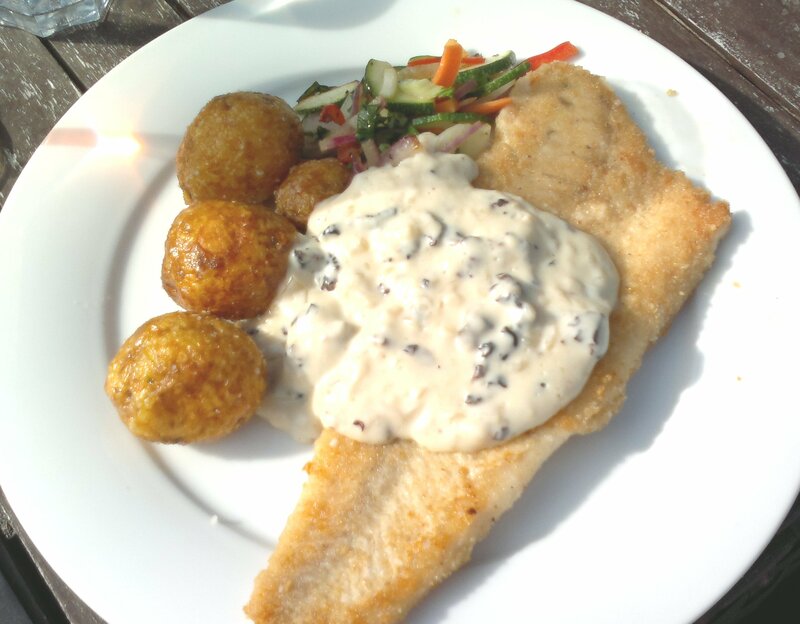 For main course ordered Fried pike-perch with horsedarish crinkle potatoes and morel mushroom sauce and Pirate hamburger. Fish was like home made but sauce was delicious. Meat of hamburger was disappoitment, close to frozen tv dinner beef. French fries were crisp and enough salty. In overall quite simple hamburger portion.